Thank you to Michaels Stores for sponsoring today’s post! 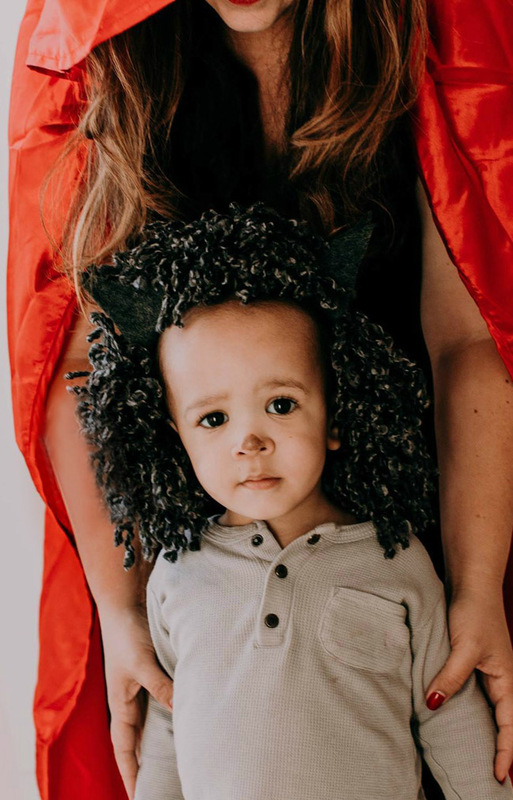 A perfect last-minute Mother and Baby Costume Idea, go as Little Red Riding Hood with an adorable little wolf! Thank you to Jolie of Jolie Anne Photography for providing final photos. Hi friends! Halloween is RIGHT around the corner, eeek! Are you ready? This Halloween, Michaels has everything you need to MAKE it Spooky! We seem to always have a few versions of Halloween costumes each year, and of course some of those are DIY Halloween Costumes. 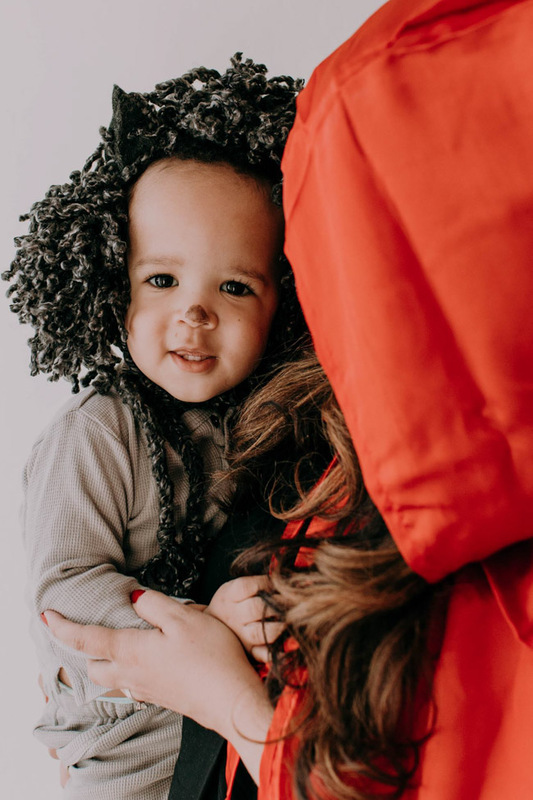 And if you’re a momma with a little one looking for a quick, last minute Mother and Baby costume idea, check out our cute Little Red Riding Hood with Wolf costume idea! 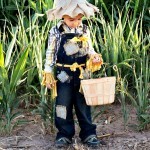 You won’t believe how EASY this homemade costume idea is! 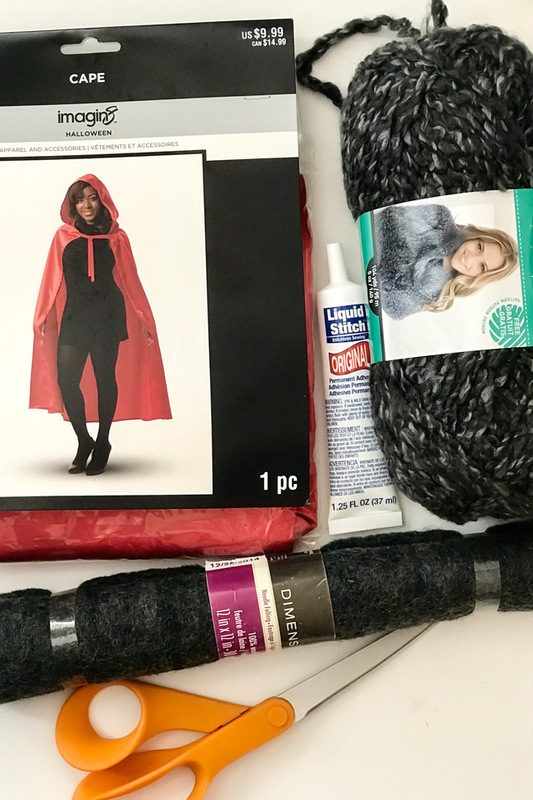 We started with a pre-made red cape from Michaels Stores for mom’s Little Red Riding Hood costume. Done and done. But what about the wolf? 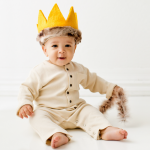 We stole this idea from our easy, no-sew Kids Lion Halloween Costume and just put our little one in a grey jumpsuit from lovedbaby.com and gave him a little grey yarn “fur” headpiece. 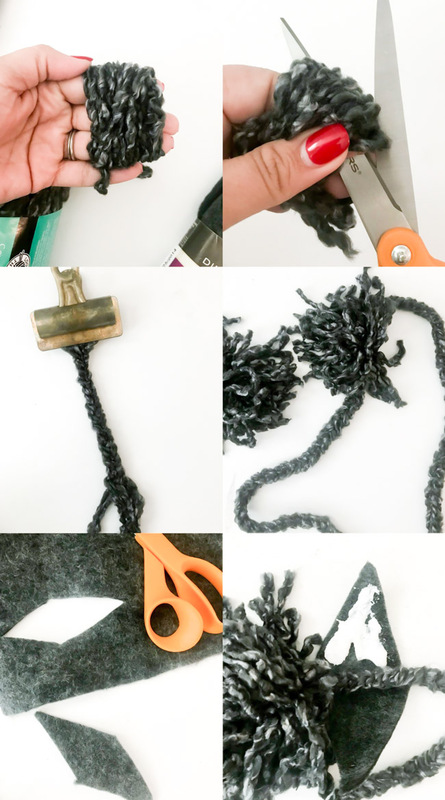 Cut out a diamond shape from your grey felt. Find two areas on top that you want to add them to, cover with liquid stitch and fold them over. And voila! 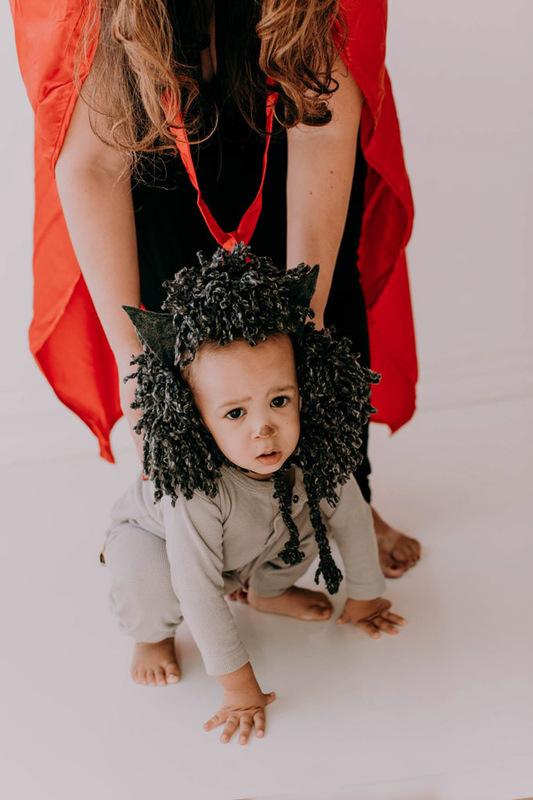 You have one easy, little wolf get up for one easy no-sew Mother and Baby Costume: Little Red Riding Hood and the Wolf! Then you just tie that fun little wolf mane onto your child, add a little wolf nose (I just used my brown eyeliner) and you’re done! 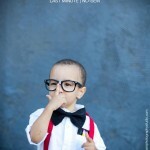 Isn’t he the CUTEST? 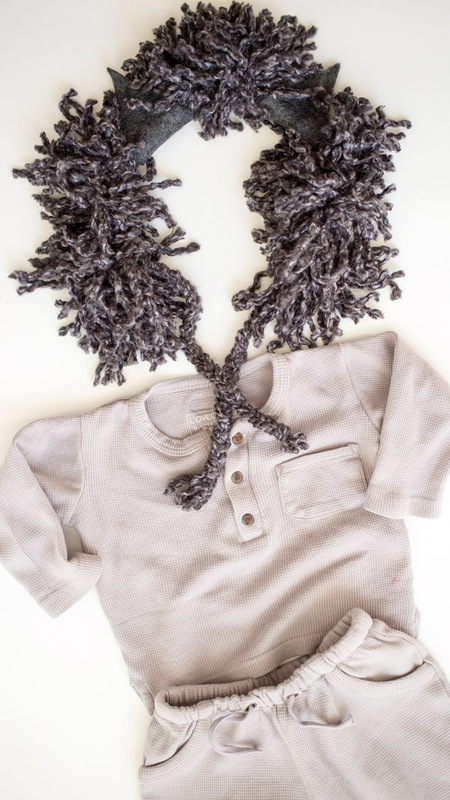 So if you’re desperate for a last-minute Mother and Baby Halloween Costume Idea, head down to Michael’s Stores and grab everything you need to give this cute costume a go! This Halloween, Michaels has everything you need to MAKE it Spooky! Thanks again to Jolie Anne Photography for the awesome photos!